Are you looking to reduce your energy footprint through installing solar panels at your home or business? Harmony Air specializes in affordable grid tie-in and off-grid solar photovoltaic (pv) systems, as well as solar hot water systems for your home or pool. Solar energy is an eco-friendly alternative to traditional utilities; but did you know that a solar electric system could actually save you money on an ongoing basis? When your solar energy setup produces more electricity than you use on a monthly basis, that electricity is actually sent back to the grid. And when that happens, the power company has to pay you! In California, the average savings for each residential solar customer’s utility bill is $130 per month. Our high quality solar panels are capable of tapping into the limitless energy from the sun’s rays and generating high amounts of electricity for your property. This, in turn, will dramatically lower your utility bills and help you save a considerable amount of money down the line. We go out of our way to make sure that our installation services are tailored to your needs and are affordable. 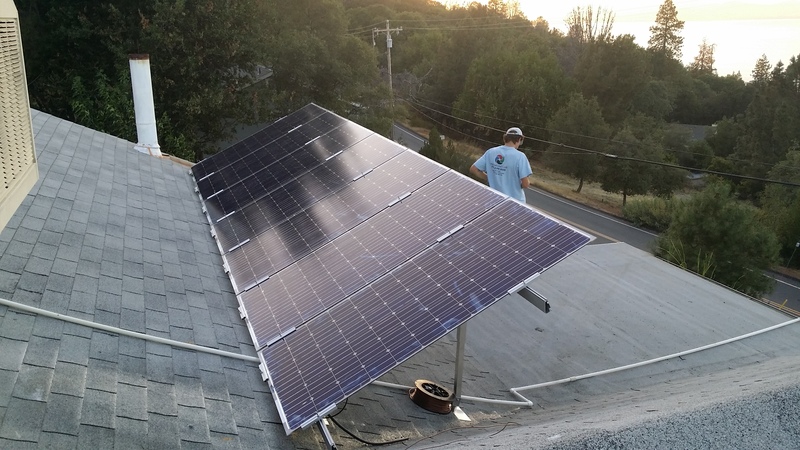 Every solar system we install is designed to reach its highest possible potential in return on investment, energy production, and reduction of carbon footprint. We also install solar hot water systems. Solar hot water heaters use the solar energy from the sun to generate heat (not electricity) which can then be used to heat water for showering, space heating, industrial processes or even solar cooling. ⟵AirKrete Insulation – It’s Non-Toxic and Fireproof!